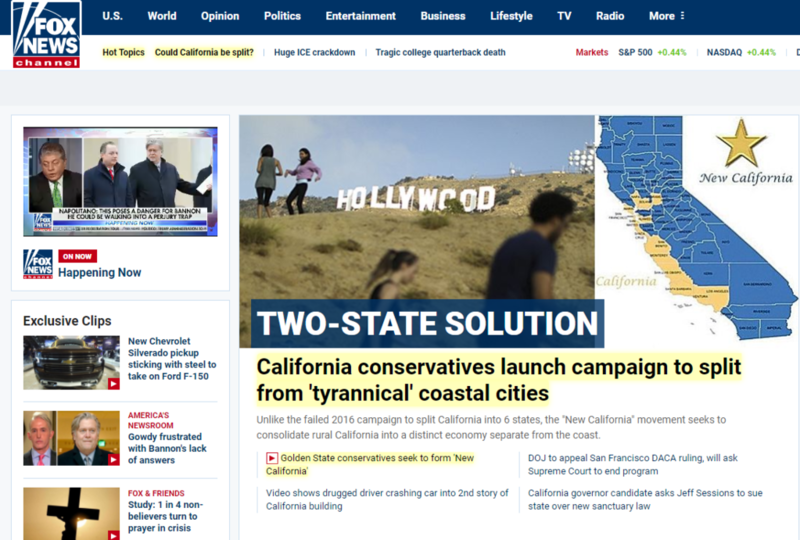 Fox News is promoting what it calls a bid by “conservatives in California so fed up with liberals running their state” to “break away” from the state and form a “New California.” What Fox didn’t mention is that the secessionist ploy is being led by a conspiracy theorist. “New California” is just the latest iteration of long-running, minor secessionist movements in California that previously materialized in 2016 as the #Calexit hashtag and “Yes California” electoral campaign, but the small group leading the charge is getting some media help from interesting places. A January 17 segment of Fox & Friends discussed the current campaign and a story about it was featured on the front page of FoxNews.com the same day. Far-right troll Jack Posobiec and Russian state media are also pushing the campaign on Twitter. The January 17 segment of Fox & Friends briefly featured comments by Robert Paul Preston, whom the show credited as the “founder” of “New California.” On its website, Fox News identified Preston and his group as “California conservatives.” Both the article and the segment on Fox & Friends failed to note that Preston is a conspiracy theorist and Sandy Hook truther. 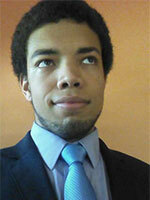 Preston believes in “Agenda 21,” a conspiracy theory dating to when Glenn Beck hosted a show on Fox News. "Agenda 21" believers like Preston think that the United Nations is executing a “master plan” to “remove you from your land ... take away our Constitutional Rights and depopulate our planet.” Preston also believes the Sandy Hook massacre was a hoax. Along with Fox News, Russia’s state-owned media company RT (formerly Russia Today) is also pushing the “New California” narrative with tweets and an article. Like Fox, the RT write-up also uncritically quotes Paul Preston in support of secession. Russia-linked social media bots have driven previous iterations of American secessionist narratives. On November 4, 2017, the BBC reported that the #Calexit hashtag and narrative around the 2016 election “was artificially driven by automated bots or fake accounts,” many of which were connected to the pro-Kremlin “troll factory” known as the Internet Research Agency. Additionally, The San Diego Union-Tribune reported that the leader of “Yes California” lived in and ran the campaign from Russia.